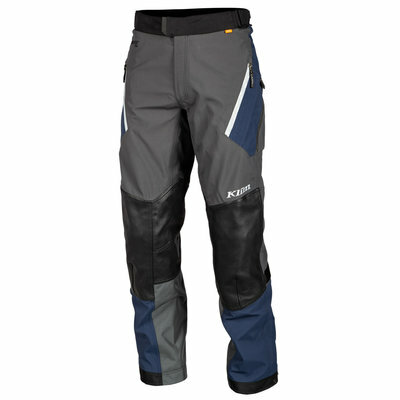 The Kodiak pant is the ultimate motorcycle pant in the Touring series of KLIM. 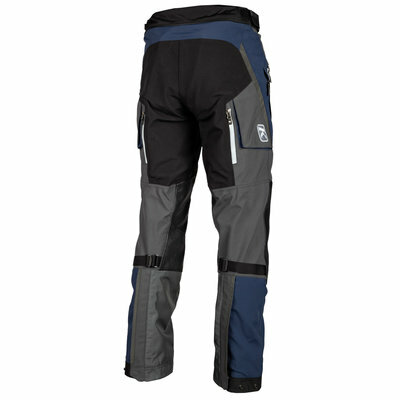 All available innovative options and technical materials have been incorporated in these Gore-Tex motorcycle pants. The European fit and active design make it a stylish and comfortable pant for every ride, every season, every day. The pant is equipped with three layer Gore-Tex® Pro, the highest level of protection against the elements: 100% windproof and waterproof yet breathable. Various ventilation ports have been provided in the pant for optimum cooling. Kodiak is designed for the European market and has a European fit. 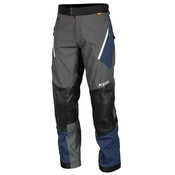 This means that the fit of the pant is less baggy and the sizes are divided differently than many other KLIM pants. Unique to the Kodiak is that it comes not only in Regular and Tall, but also in a D-model with a wider waist at a shorter leg length. See the KLIM EURO Size Chart for more information. On the impact zones, the Kodiak is reinforced with perforated Gore-Tex leather, which is wear-resistant and still breathable. The pant comes with D3O armor of the highest CE level on the knees and hips. The pant also features tailbone protection. For improved visibility, stylish black 3M reflector strips have been used on the Kodiak. 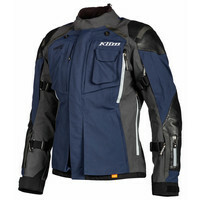 The universal zipper on the back of the trousers can be attached to any KLIM jacket. The Kodiak Pant is available in Blue and Black and in three different size versions: Regular, Tall and D-Model. Furthermore, a Kodiak motorcycle Jacket is available in Blue, Black and Gray in two different size versions: Regular and D-Model. The price of the D-model jacket and the pant in D-model and Tall is higher than the other variants. Perforated leather on the knees and lower legs. Extremely abrasion resistant and still breathable.